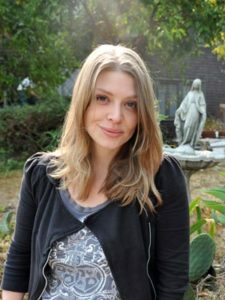 Amber Benson is the author of the Echo Park Coven Novels and the Calliope Reaper-Jones Novels. She cocreated, cowrote, and directed the animated supernatural Web series Ghosts of Albion with Christopher Golden, which they followed with a series of novels, including Witchery and Accursed, and the novella Astray. Benson and Golden also coauthored the novella The Seven Whistlers. As an actress, she has appeared in dozens of roles in feature films, TV movies, and television series, including the fan-favorite role of Tara Maclay on three seasons of Buffy the Vampire Slayer. Benson wrote, produced, and directed the feature films Chance and Lovers, Liars and Lunatics. Available Titles by Amber Benson: THE SEVEN WHISTLERS (with Christopher Golden).